Earlier this week, China’s President Xi Jinping urged the Chinese army to be battle ready. Pakistan, on the other hand, recently elected cricketer-turned-politician Imran Khan as the country’s new prime minister and India is barely four months away from its next national elections. With so much going on in South Asia, Mani Shankar Aiyar, a former Indian diplomat, weighs in on the nature of the relationships being forged among the various South Asian countries and how India’s foreign policy is affecting them. Mani Shankar Aiyar is a former Indian diplomat and union minister. He has been a long term parliamentarian from the Congress Party and has held various ministries including Petroleum and Natural Gas and Ministry of Panchayati Raj. Aiyar has also served in Pakistan as a diplomat. In this interview with Intifada P. Basheer, Aiyar talks about India’s strained relations with its two main neighbors, Pakistan and China. While talking about Pakistan, Aiyar also discussed Kashmir and the role separatist leaders of the Hurriyat play in solving the conflict. 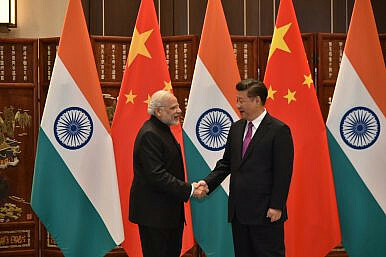 Aiyar also believes that befriending China is the only way India can ensure it maintains its status quo among the other South Asian countries. Intifada P. Basheer: Recently India cancelled its bilateral talks with Pakistan. With Imran Khan taking over the new administration how do you think India should approach Pakistan right now? Mani Shankar Aiyar: The only way of building a relationship with Pakistan is from bottom up. I am saying this as a professional diplomat. Now the job of a prime minister is to start a process and end it. In between it should be left to the work horses to build up that relationship. So what we needed after Prime Minister Modi and Nawaz Sharif decided that the dialogue would be resumed on May 26, 2014, was to get the work horses started. They started with the foreign secretaries; if I had been the prime minister (that is why I might never be the prime minister), I would have asked junior officials to start the process. You can only explore the other person’s mind with a fair amount of empathy. If the BJP government has the guts to put out a gun and conduct surgical strikes, then why don’t they have the guts to sit down with Pakistan and talk? There will be disagreements, indeed sharp disagreements. But if you keep the dialogue going and if you take as the basis of the dialogue the points that were set out in 1997, by Salman Haidar on our side and Abdul Sattar on their side, you can come to a conclusion on almost everything. That composite dialogue has always included terrorism. And Pakistan has expressed its willingness to talk terrorism with us. We expressed our readiness to talk on Kashmir with them. Now if both sides behave in a “Tu pehle kya mai pehle” (You first or me first) manner, I think it is too small a matter to prevent the talks from going forward. Therefore I suggest that we talk. For when we talk the tension gets sharply reduced. You mentioned Kashmir. In 2017 you were a part of the group that met Hurriyat leaders. The violence in Kashmir does not seem ready to stop anytime soon. How do you think that the Indian government should handle the issue right now ? Where I think the BJP is going wrong in Kashmir, by that I mean the valley, is that there they are talking to nobody. They have even stopped talking to [Peoples Democratic Party president and former Chief Minister] Mehbooba Mufti. The BJP talks to itself. So they are the cause of the problem. Also, if you don’t talk to the Hurriyat, then you’re not talking to a principal cause of the problem. And if you don’t address a principal cause of the problem how are you going to get an answer? Now don’t get me wrong. When I say talk to the Hurriyat, I am a Vajpayee bhakth [devotee]. Because after [former Prime Minister] Vajpayee talked to the Hurriyat, he arranged passports for the Hurriyat to go across the border and talk to Pakistan. It was Vajpayee who gave authorization to start the process of Pakistani notables meeting representatives of the Hurriyat whenever they came to India. So therefore after [former Prime Minister] Narasimha Rao said that the sky is the limit as far as autonomy is concerned and after [former Prime Minister] Manmohan Singh’s interlocutors, Radha Kumar and Ansari, talked at length to the Hurriyat, I don’t think talking to the Hurriyat is a crime. It’s not treachery. What about India’s relations with other South Asian countries, like Bangladesh and Nepal? The Indian government led by Mr. Modi has comprehensively destroyed India’s relationship with our only Hindu neighbor, Nepal, with the gross impunity with which he sent [Foreign Secretary] Jaishankar to Nepal, on the very eve after they [Nepal] passed their constitution to say, “until I say so you can’t proclaim the constitution.” [The Modi government] then followed that by a blockade. With the NRC [National Registration of Citizens] business, we are threatening Bangladesh with 4 million people whom we are forcibly pushing toward them. India has also not solved the Teesta River dispute with Bangladesh. We have not come to a final signature. In fact, the really tough problems with Bangladesh are not being settled but new ones are being created. With Sri Lanka, there hasn’t been any significant step taken in the last four and a half years, either, to resolve the internal problems of Sri Lanka or to resolve our problems with Sri Lanka. Hambantota [port] is still with the Chinese. Like you mentioned, Sri Lanka is currently enjoying a strong relationship with China. Other South Asian Association for Regional Cooperation (SAARC) countries are also cozying up to China. Where does that leave India? The best thing that could happen with China is that we could become friends. If India becomes good friends with China, then China can’t become better friends with other countries. Yes, we didn’t talk to them from 1962 to 1988. The then-Prime Minister Rajiv Gandhi took this enormously imaginative step of talking to China. As soon as that process started, which has now been going on for 30 years, there has largely been peace and tranquility on the border. Yes, we haven’t solved the border issue completely but we at least have peace. If Rajiv Gandhi had not gone to China in December 1988, do you think Doklam could have been settled in ? The two are intimately connected. So, the process that began by Rajiv Gandhi should, in my view, be taken to its natural conclusion. The difference is that back in 1988 China was in a somewhat better position than India. However, today India is competing with the superpower. And so it might be a little more difficult to solve things today than it was then. But we must try and I believe that we are trying. What do you think is the greatest obstacle in forging a strong Indo-China relationship? India needs to make South Asia the most important focus of our foreign policy. In South Asia I include Tibet, which is an autonomous region. The Chinese may not like my saying so, but our problems are not in Shanghai, they are not in Siachen, they are on the Indo-Tibetan border and what happens there. In that sense China is also a South Asian power because they are running the foreign policy of Tibet. Today the Chinese are standing exactly where Alexander the Great was when he defeated Porus on the banks of the River Indus. The only way forward is to get closer to your neighbors not by dominating them but by befriending them. Intifada P Basheer is a freelance journalist based in New Delhi. She has written for The New Indian Express, The Quint and India Times. She is the editor-international relations at The Compass. She tweets @IntifadaBasheer. Majid Alam is freelance journalist who has contributed to The Statesman and The Indian Economist. Karan Anand is a freelance journalist who has written for The Statesman, The Indian Economist and The Citizen.